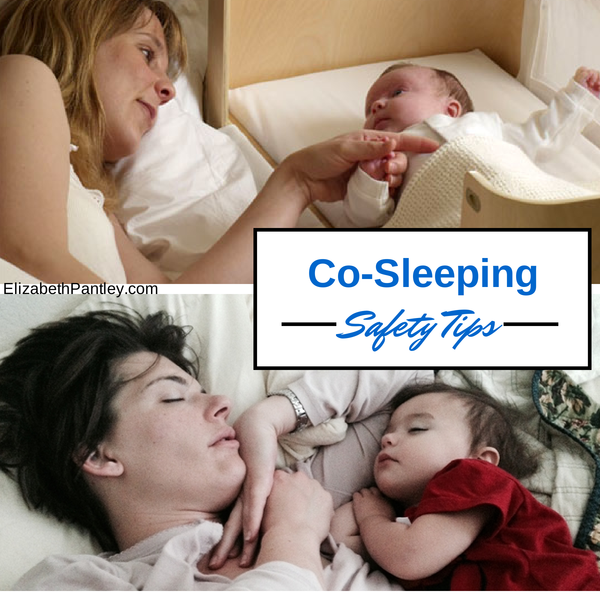 If you decide to have your child sleep with you, either for naps or at nighttime, and you’ve found how to make co-sleeping work with your family, it’s important to follow these safety guidelines to protect your baby. People have a lot of opinions and “what worked for me” stories — but do your homework and make safe choices. 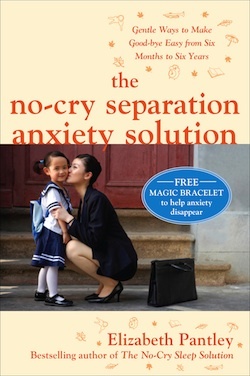 Yes, I know you get tired, and yes, I know that nothing bad has happened yet, but accidents do occur, and you want to prevent them from happening as much as possible. It should be your top priority to make sure that your child’s sleeping place is always safe. Your bed must be absolutely, positively safe for your baby – no exceptions. The best choice is to place the mattress on the floor, making sure there are no crevices that your baby can become wedged in. Make certain your mattress is flat, firm, and smooth. Do not allow your baby to sleep on a soft surface such as a waterbed, sofa, pillow-top mattress, or any other soft, flexible surface. If your bed is raised off the floor, use mesh guardrails to prevent your child from rolling off the bed, and be especially careful that there is no space between the mattress and headboard or footboard. Be mindful that some guardrails designed for older children and are not safe for babies because they have spaces that could entrap them. Purchase age-appropriate guardrails. If your bed is placed against a wall or other furniture, be certain the position is secure. Check every night to be sure there is no space between the mattress and wall or furniture where your child could become stuck. As Baby becomes mobile, be sure that furniture is secured to the wall and cannot tip over. Infants should be placed between their mother and the wall or guardrail. Yes, of course father, siblings, and grandparents love your newborn every bit as much as Mother does! But science shows that they don’t have the same instinctual awareness of an infant’s location as mothers do, no matter how great the love! And Mothers, your little one should be able to awaken you with a minimum of movement or noise. If you find that you are such a deep sleeper that you only wake when your baby lets out a boisterous cry, you should seriously consider moving Baby out of your bed, perhaps in to a bedside cradle or to a crib near your bed. As always, once your baby is older you can amend this to different arrangements. Wait to allow siblings to bed-share until the youngest is about 9 to 18 months old, depending on size difference and how much older the sibling is. Do not swaddle your baby during co-sleeping. Little arms and legs must be free to move about. Use a large enough mattress to provide ample room for everyone’s movement, so that your littlest one is not squished. Consider a sidecar arrangement in which Baby’s crib or cradle or sidecar bed sits directly beside the main bed, as one option. You can reach out and touch and reassure your baby, but the little one has a partitioned-off sleeping space. Do not ever sleep with your baby if you have been drinking alcohol, have used any drugs or medications, are an especially deep and sound sleeper, or if you are suffering from severe sleep deprivation and find it difficult to awaken. Do not sleep with your baby if you are a large person, as a parent’s excess weight has been determined to pose a risk to baby in a co-sleeping situation. While I cannot give you a specific parent’s weight to baby ratio, examine how you and Baby settle in next to each other. If Baby rolls towards you, or if there is a large dip in the mattress, play it safe and move Baby to a bedside crib or cradle. Remove all pillows and thick blankets or heavy quilts so your baby cannot burrow under them. Thin blankets are typically fine. Small baby blankets are usually fine. Use caution when adding pillows or bigger blankets as your baby gets older. Pillows are deemed safe for your child when your baby reaches about 15 to 18 months old. Before that, if you need a pillow for yourself, use a small, toddler-sided somewhat firm pillow – avoid large, puffy pillows in bed with your small baby. Instead of using heavy or puffy blankets, dress Baby and yourselves warmly. (A tip for breastfeeding moms: in cold weather, wear an old turtleneck or t-shirt, cut up the middle to the neckline, for extra warmth.) Keep in mind that body heat will add warmth during the night. Make sure your baby doesn’t become overheated. Do not wear any night-clothes with strings or long ribbons. Don’t wear dangling jewelry to bed, and if your hair is long, put it up. Don’t use strong perfumes or lotions that may affect your baby’s delicate senses. Do not allow pets to sleep in bed with your baby. 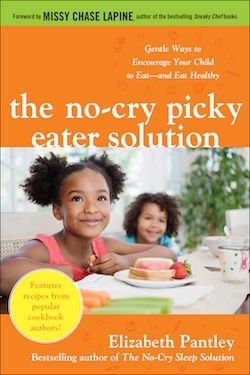 Save this treat for when your child is older. Never leave your baby alone in an adult bed unless it is perfectly safe. For example, placing your little one on a proper mattress on the floor, without blankets or pillows, in a childproof room, when you are nearby or listening in with a reliable baby monitor. Be cautious about using any type of co-sleeping “nests” or infant sleep positioners. As of now, there are no proven safety devices for use with a baby in an adult bed. However, as a result of the great number of parents who wish to sleep safely with their babies, a number of new inventions are beginning to appear in baby catalogs and stores. You may want to investigate some of these new nests, wedges and cradles. Don’t allow anyone to smoke in the room where your baby will be sleeping, as this is a proven risk to your infant’s health and safety, and can increase the risk of SIDS. Whether co-sleeping or independent sleeping, make sure that your infant is sleeping on his or her back – the safest position for sleep during the first few months. What if my baby rolls onto her belly? There isn’t an exact specified age when belly sleeping becomes a safe sleeping position; this is unique to every child. 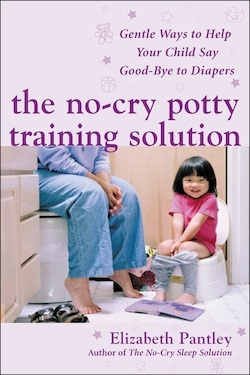 However, most specialists imply that once your baby can hold her head up steadily and roll easily from belly to back and back to belly, you can put her to sleep on her back and then let her find her own comfortable position – in her safe and comfy bed. 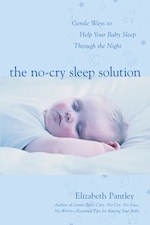 Sleeping situations tend to go through a transformation process throughout the early years of a child’s life. Some families make a conscious decision to co-sleep with their children up through toddlerhood and beyond. 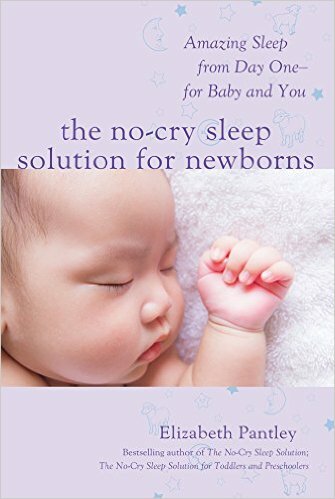 Some families make modifications as their babies begin to sleep through the night. Other families move their babies to cribs to accommodate a need for better adult sleep. The best advice is, stay aware of everyone’s needs, make thoughtful decisions, and go with the flow. 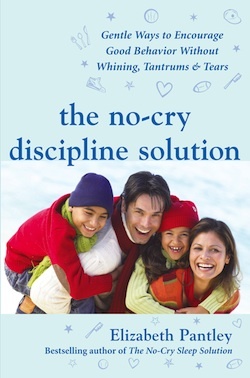 Make adjustments according to what works best for your entire family. Need more tips? 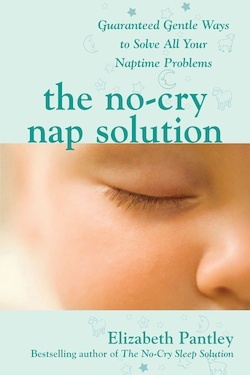 The No-Cry Sleep Solution is filled with gentle ways to help your baby sleep through the night. I would also like some tips.. I have a 3.5yo and I feel like it is time to move him but I’m not sure how to go about it.